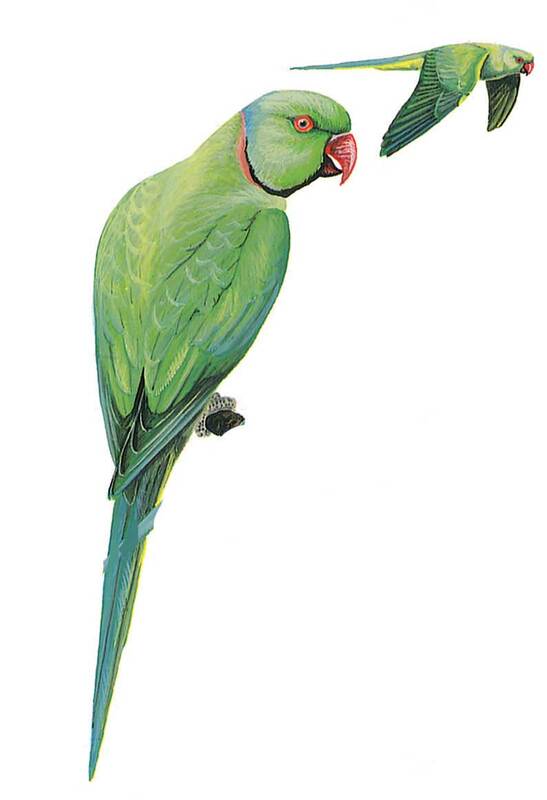 Large green parakeet with long, graduated, pointed tail and short, deeply hooked red bill. In male, black throat continues round neck as a narrow rosy ring, absent in female and juvenile where throat green and bill horn-coloured. The larger Alexandrine has red shoulder-patch, absent in Rose-ringed. Flight swift, fast and direct but flocks may change direction rather suddenly.